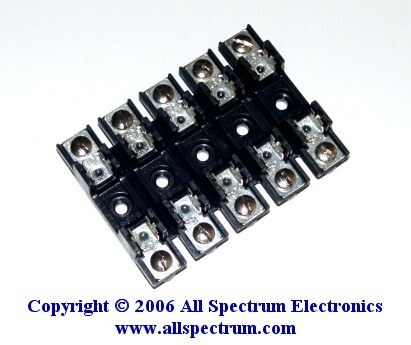 Buss FuseBlock x 5, for 1/4" x 1 1/4" fuses, 300v AC/DC, 30A/10A. UL rated to 30A, CSA to 10A. Blocks are molded flame retardant thermoplastic. Clips are spring-bronze.